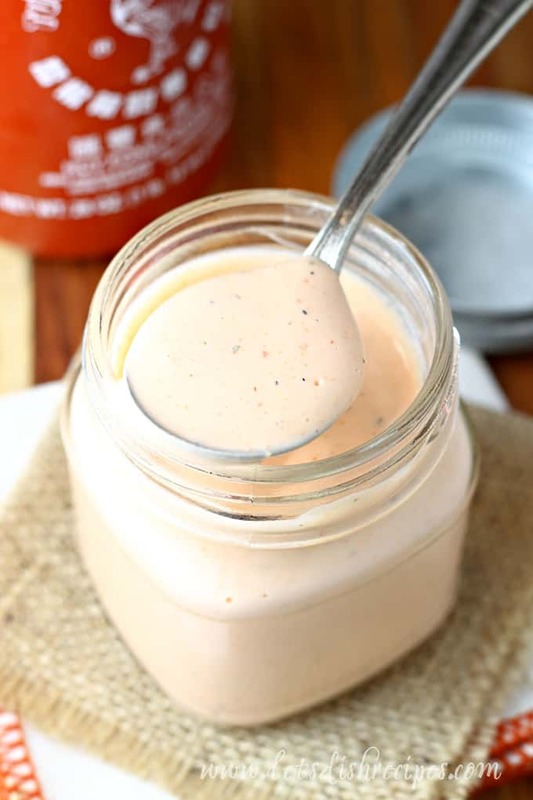 SRIRACHA RANCH SAUCE — A combination of sriracha sauce and ranch dressing, this spicy, creamy sauce is great on burgers, sandwiches, pizza, salads and more! My family has a favorite pizza restaurant where you get to make individual pizzas and choose your own toppings. When you’re pizza is done, you can choose from a variety of sauces to drizzle on top. 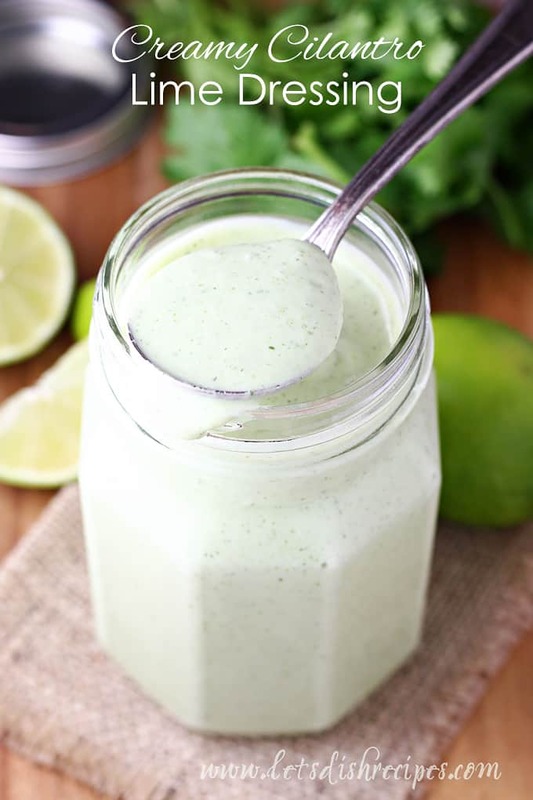 Our favorite drizzle is called Srirancha, and this Sriracha Ranch Sauce is my own homemade version of this spicy Ranch-like sauce. My boys eat this stuff by the bucket full, so I had to try making it at home! It’s a pretty simple concept. Basically, you combine Sriracha sauce and Ranch dressing. And then you cover everything you eat in the creamy, spicy deliciousness. Okay, not everything, but it’s great on chicken, salads, chips, veggies, tacos, burgers, french fries, and of course, pizza! I’m sure there are a few possibilities we haven’t considered yet, but we’re still working on it! This is a fairly spicy sauce, although you can adjust the heat level somewhat by using less Sriracha sauce. I usually go with about 2 tablespoons, but you can add even more if you like it really spicy. This sauce doesn’t last long at my house, but while it lasts, I like to keep it in a Mason jar in the refrigerator. It should keep for about a week that way. 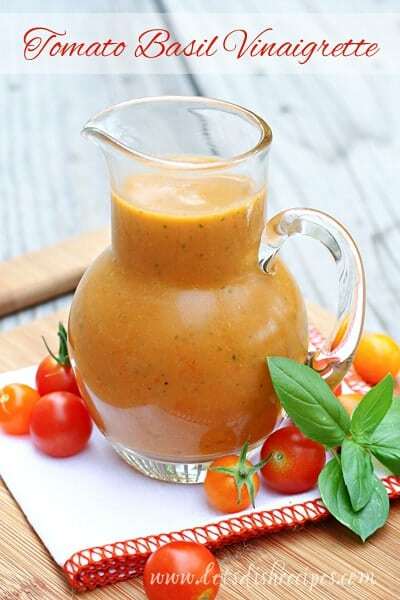 I always keep the ingredients for this sauce on hand (there are only four, so it’s not too hard to keep everything in my pantry or refrigerator) because we use our Sriracha Ranch Sauce so often. This stuff is definitely a hit with the teenage boy crowd! 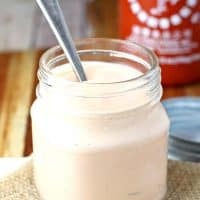 If you’re looking for a new way to add a spicy kick to your favorite meals and snacks, then you’ve got to try this Sriracha Ranch Sauce! 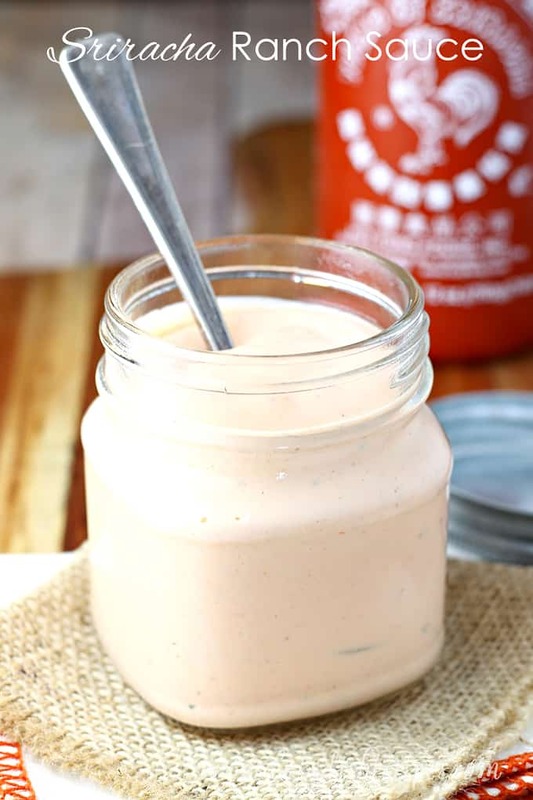 Be sure to save this Sriracha Ranch Sauce recipe to your favorite Pinterest board for later. 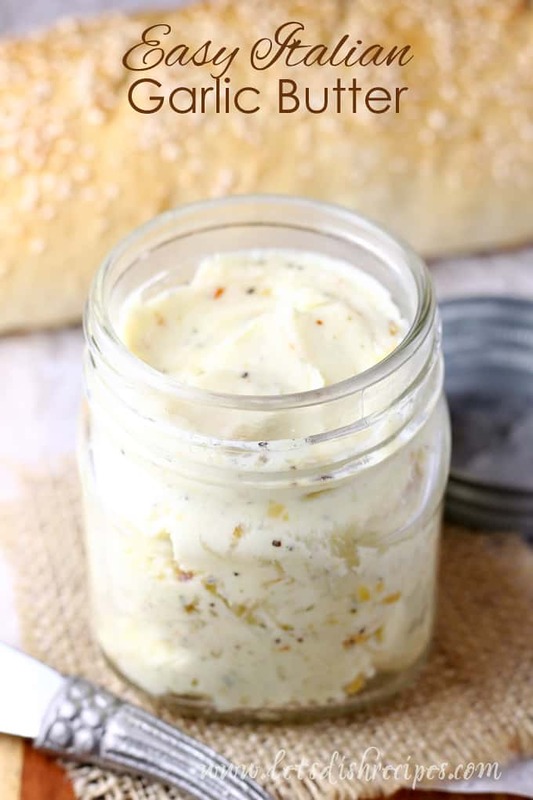 A combination of sriracha sauce and ranch dressing, this spicy, creamy sauce is great on burgers, sandwiches, pizza, salads and more! In a medium bowl, whisk together Ranch dressing mix, 3/4 cup milk, mayonnaise and desired amount of Sriracha sauce. Add additional milk, as needed, until sauce reaches desired consistency. Refrigerate until serving. Okay I would absolutely put this on everything too. I need a jar of this in my fridge stat! Can’t wait to try it!